Aspenorm 100 mg tablets # 20- instructions for use, pharmacological properties, indications and contraindications. shell - colic MAE, propylene glycol, titanium dioxide (E 171), talc. Film-coated tablets. Round, biconvex tablets, coated with a coat of white or almost white. Antiplatelet agents . The ATS code is B01A C06. Acetylsalicylic acid suppresses platelet aggregation by blocking the synthesis of thromboxane 2. The mechanism of its action is the irreversible inactivation of the enzyme cyclooxygenase (COX-1). This inhibitory effect is particularly pronounced for platelets, since they are not capable of resynthesis of the said enzyme. It is also noted that acetylsalicylic acid also has other inhibitory effects on platelets. Thanks to these effects, it is used in many vascular diseases. Acetylsalicylic acid belongs to the group of non-steroidal anti-inflammatory drugs (NSAIDs) with analgesic, antipyretic and anti-inflammatory properties. Oral at higher doses, acetylsalicylic acid is used to relieve pain and in light febrile conditions such as the common cold and the flu, to reduce temperature and relieve joint and muscle pain, with acute and chronic inflammatory diseases such as rheumatoid arthritis, osteoarthritis and ankylosing spondylitis . After ingestion, acetylsalicylic acid is rapidly and completely absorbed from the gastrointestinal tract. During and after absorption, it turns into the main active metabolite - acid salicylic. The maximum concentration of acetylsalicylic acid in the blood plasma is reached after 10-20 minutes, salicylic acid - after 20-120 minutes. Due to the enteric coating of tablets Aspenorm 100 mg and 300 mg, the release of the active substance occurs not in the stomach, but in the alkaline environment of the intestine. Therefore, the absorption of acetylsalicylic acid is slowed down to 3-6 hours after the application of the tablet coated with an enteric-coated membrane, compared to a conventional tablet of acetylsalicylic acid. Acetylsalicylic and salicylic acids completely bind to blood plasma proteins and are quickly distributed in the body.Salicylic acid penetrates the placenta, and also enters the breast milk. Salicylic acid is metabolized in the liver. Metabolites of salicylic acid are salicylurea, salicylphenol glucuronide, salicylacyl glucuronide, gentisic acid and gentisine-sulfuric acid. The kinetics of elimination of salicylic acid depends on the dose, since the metabolism is limited by the activity of liver enzymes. The half-life period depends on the dose and increases from 2-3 hours when low doses are used up to 15 hours when high doses are used. Salicylic acid and its metabolites are excreted mainly by the kidneys. The preclinical safety profile of acetylsalicylic acid is well documented. It is known that salicylates at high doses cause kidney damage without other organic lesions. Acetylsalicylic acid has been extensively studied for mutagenicity, but there has been no evidence of a mutagenic potential. The same goes for carcinogenicity studies. It is also known that salicylates have a teratogenic effect. Implantation abnormalities, embryotoxic and fetotoxic effects, and impaired ability to learn from offspring after application of the drug in the prenatal period were described. myocardial infarction in patients with a high risk of developing cardiovascular complications (diabetes mellitus, controlled arterial hypertension) and people with a multifactorial risk of cardiovascular diseases (hyperlipidemia, obesity, smoking, old age, etc.). deep vein thrombosis and pulmonary embolism after prolonged immobilization (after surgical operations). For secondary prevention of stroke. Hypersensitivity to acetylsalicylic acid, other salicylates or to any component of the drug. Asthma caused by the intake of salicylates or substances with a similar effect, especially NSAIDs in the history. Combination with methotrexate in a dosage of 15 mg / week or more (see Section "Interaction with Other Drugs and Other Interactions"). Ibuprofen may reduce the inhibitory effect of acetylsalicylic acid on platelet aggregation. In case of using Aspenorma, before starting the administration of ibuprofen as an anesthetic, the patient should consult a physician. Acetylsalicylic acid can cause the development of bronchospasm or an attack of bronchial asthma, as well as other hypersensitivity reactions. Risk factors include history of asthma, hayfever, polyposis or chronic respiratory diseases, allergic reactions (skin reactions, pruritus, urticaria) to other substances in the anamnesis. Through the inhibitory effect of acetylsalicylic acid on platelet aggregation, which persists for several days after ingestion, the use of drugs containing acetylsalicylic acid may increase the chance / increase bleeding in surgical operations (including minor surgical interventions, such as tooth extraction). With the use of small doses of acetylsalicylic acid, the excretion of uric acid may decrease. This can lead to an attack of gout in predisposed patients. Do not use drugs containing acetylsalicylic acid, children and adolescents with acute respiratory viral infection (ARVI), which is accompanied or not accompanied by an increase in body temperature, without consulting a doctor. With some viral diseases, especially with influenza A, influenza B and chickenpox, there is a risk of developing Ray's syndrome, which is a very rare but life-threatening disease, requires urgent medical intervention. The risk can be increased if acetylsalicylic acid is used as a concomitant drug, but the cause-and-effect relationship is not proven in this case. If these conditions are accompanied by constant vomiting, this may be a manifestation of Ray's syndrome. The inhibition of prostaglandin synthesis may adversely affect pregnancy and / or fetal / intrauterine development. There is evidence that there is a risk of miscarriage and fetal malformations after the use of inhibitors of prostaglandin synthesis in early pregnancy. The risk rises depending on the increase in dose and duration of therapy. There are known epidemiological data on the occurrence of malformations is not consistent, but the increased risk of gastroschisis can not be excluded with the use of acetylsalicylic acid. During the I and II trimesters of pregnancy, preparations containing acetylsalicylic acid should not be administered without a clear clinical need. For women who may be pregnant or in the first and second trimesters of pregnancy, the dose of drugs containing acetylsalicylic acid should be as low as possible, and the duration of treatment can be shorter. disturbance of kidney function with possible subsequent development of renal insufficiency with oligohydroamniozom. weakening uterine contractions, which can lead to a delay or an increase in the duration of labor. Despite this, acetylsalicylic acid is contraindicated in the third trimester of pregnancy. Salicylates and their metabolites are found in breast milk in small amounts. Since there was no adverse effect on the baby after taking the drug by women during lactation, it is usually not necessary to interrupt breastfeeding. However, in cases of regular use or with the use of high doses of breast-feeding, it is necessary to stop at early stages. There was no impact on the ability to drive and other mechanisms. According to the indications (see the section "Indications"), Aspenorm is not prescribed for children. The use of acetylsalicylic acid in children under the age of 16 can cause severe side effects (including Reye's syndrome, one of the symptoms of which is constant vomiting). Please refer to the information in the "Special instructions" section. The drug is taken orally, 30-60 minutes before meals, without chewing, squeezed with enough liquid. To reduce the risk of death in patients with suspected acute myocardial infarction, a drug in the dose of 100-300 mg per day is used. Within 30 days after a heart attack continue to take a maintenance dose of 100-300 mg per day. After 30 days, further prevention of recurrence of myocardial infarction should be considered. 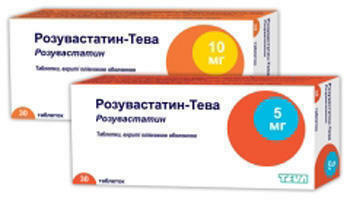 To achieve rapid absorption, if used in the case of this indication, the first tablet must be chewed. 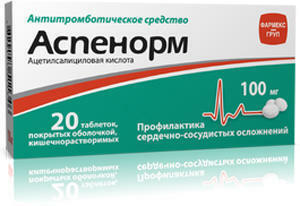 To reduce the risk of morbidity and death of patients who underwent myocardial infarction, apply 100-300 mg per day. For secondary prevention of stroke, the drug is used in a dose of 100-300 mg per day. To reduce the risk of TIA and stroke in patients with TIA used 100-300 mg per day. To reduce the risk of developing the disease and death in patients with stable and unstable angina, 100-300 mg per day is prescribed. 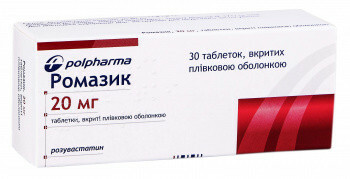 For prophylaxis of thromboembolism after operations on vessels (percutaneous transluminal catheter angioplasty, carotid endarterectomy, coronary artery bypass grafting, arteriovenous shunting), the drug is used at a dose of 100-200 mg per day daily or 300 mg per day every other day. 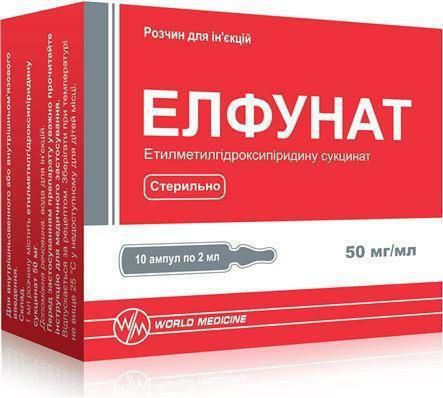 For prevention of deep vein thrombosis and pulmonary embolism after a prolonged state of immobilization (after surgery) - 100-200 mg per day or 300 mg per day every other day. 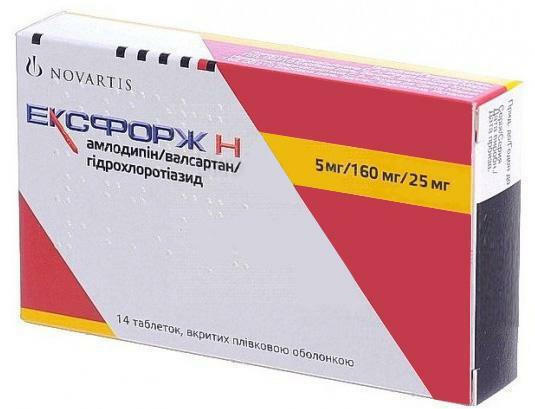 For the prevention of myocardial infarction in patients with a high risk of developing cardiovascular complications (diabetes mellitus, controlled arterial hypertension) and people with a multifactorial risk of cardiovascular diseases (hyperlipidemia, obesity, smoking, old age, etc.) Apply 100 mg per day or 300 mg per day every other day. The toxic effect of salicylates is possible due to chronic intoxication caused by prolonged therapy (the use of more than 100 mg / kg / day for more than 2 days can cause toxic effects), as a result of acute intoxication, which carries a life threat (overdose) and whose cause may be, for example, accidental use by children or an unexpected overdose. Chronic poisoning with salicylates can be of a hidden nature, since its signs and symptoms are nonspecific. Moderate chronic intoxication caused by salicylates, or salicylism, is observed, as a rule, only after repeated doses of large doses. Symptoms: dizziness, ringing in the ears, deafness, increased sweating, nausea and vomiting, headache, confusion.These symptoms can be controlled by lowering the dose. Ringing in the ears is possible with a concentration of salicylates in the blood plasma above 150-300 μg / ml. Serious adverse reactions are observed when the concentration of salicylates in the blood plasma is above 300 μg / ml. Acute intoxication is indicated by a marked change in the acid-base balance, which may differ depending on the age of the patient and the severity of intoxication. Most often, its manifestation in children is metabolic acidosis. The severity of the condition can not be estimated solely on the basis of the concentration of salicylates in the plasma. Absorption of acetylsalicylic acid may slow down due to a delay in gastric release, the formation of concrements in the stomach or in the case of taking the drug in the form of tablets coated with an enteric-dissolvable coating. Treatment of acute intoxication caused by an overdose of acetylsalicylic acid is determined by the severity, clinical symptoms and is provided by standard methods that are used in poisoning. All measures taken should be aimed at accelerating the removal of the drug and restoring the electrolyte and acid-base balance. Gastrointestinal disorders: frequent manifestations and symptoms of dyspepsia, pain in the epigastric region and abdominal pain in some cases - inflammation of the digestive tract, erosive and ulcerative lesions of the gastrointestinal tract, which can in rare cases cause gastrointestinal hemorrhages and perforations with appropriate laboratory indicators and clinical manifestations. Due antiplatelet action on platelets acetylsalicylic acid can be associated with the risk of bleeding. We observed bleeding such as Perioperative hemorrhage, hematoma, bleeding of the urogenital system, epistaxis, bleeding gums; rarely or very rarely - severe bleeding such as gastrointestinal hemorrhage, cerebral hemorrhage (especially in patients with uncontrolled hypertension, and / or while the application antigemostatichnih funds), which in some cases could potentially be life threatening. Hemorrhage may lead to acute and chronic posthemorrhagic anemia / iron deficiency anemia (due to the so-called hidden mikrokrovotecheniya) with corresponding laboratory manifestations and clinical symptoms such as fatigue, pallor of skin, hypoperfusion. In patients with severe deficiency of glucose-6-phosphate dehydrogenase were observed hemolysis and hemolytic anemia. It reported renal dysfunction and acute renal failure. hypersensitivity reaction with the appropriate laboratory and clinical manifestations include asthmatic condition, skin reactions mild or moderate, as well as from the respiratory tract of the reaction, the digestive tract and cardiovascular system, including symptoms such as rash, urticaria, swelling, itching, rhinitis , nasal congestion, cardio-pulmonary insufficiency, and very rarely - severe reactions, including anaphylactic shock. Very rarely it reported transient liver failure with increased levels of liver transaminases. There were dizziness and ringing in the ears, which may indicate an overdose. Use of acetylsalicylic acid and methotrexate at a dose of 15 mg / week or more increases hematologic toxicity of methotrexate (MTX decrease renal clearance and anti-inflammatory agents salicylates displacement of methotrexate from binding with plasma proteins). In the application of acetylsalicylic acid and methotrexate at doses less than 15 mg per week increases hematological toxicity of methotrexate (MTX decrease renal clearance and anti-inflammatory agents salicylates displacement of methotrexate from binding with plasma proteins). Concomitant use of aspirin ibuprofen prevents the irreversible inhibition of platelet acetylsalicylic acid. Ibuprofen treatment of patients at risk of cardiovascular disease may limit the cardioprotective effect of acetylsalicylic acid. With simultaneous application Aspenormu and anticoagulants, thrombolytics / other platelet aggregation inhibitors / hemostasis increases the risk of bleeding. 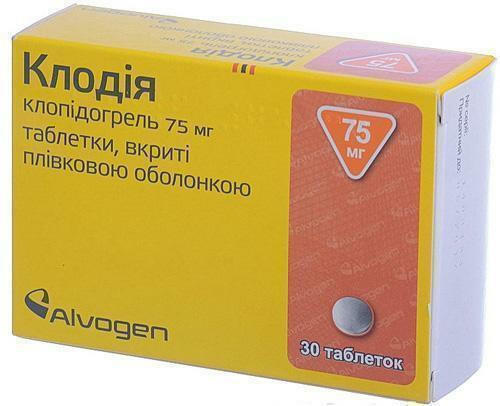 With the simultaneous application of high doses of salicylates with NSAIDs (via vzaemoposilyuvalny effect) increases the risk of ulcers and gastrointestinal bleeding. When applying a selective serotonin reuptake inhibitor increases the risk of gastrointestinal bleeding due to a possible synergy effect. While the use of digoxin in plasma concentration of the latter is increased by reducing the renal excretion. With the simultaneous application of high-dose acetylsalicylic acid and antidiabetic agents from the group of sulfonylurea hypoglycemic effect of the latter is amplified by displacing sulfonylurea acetylsalicylic acid associated with plasma proteins. Diuretics in combination with high doses of aspirin reduced glomerular filtration by reducing the synthesis of prostaglandins in the kidney. Systemic corticosteroids (except hydrocortisone, which is used for replacement therapy in Addison's disease), reduce the level of salicylate in blood and increase the risk of overdose salicylates after treatment corticosteroids. ACE (ACE) inhibitors in combination with high doses of aspirin cause a decrease in glomerular filtration by inhibiting prostaglandin vasodilator effect and reduced antihypertensive effect. While the use of valproic acid, acetylsalicylic acid displaces it from the connection with plasma proteins, increasing the toxicity of the latter. Alcohol promotes damage the mucosa of the digestive tract and prolongs bleeding time owing to the synergy of acetylsalicylic acid and alcohol. The simultaneous use of uricosuric agents such as benzobromaron, probenecid decreases uricosuric effect (owing to competition excretion of uric acid renal tubules). Stored in original package at a temperature not higher than 25 ° C. Keep out of reach of children. 10 tablets in a blister, 2 blisters in a pack.